Article below via The Sun website. Images courtesy of News UK. IT was Saturday August 4, 2012, and London’s Olympic Stadium was a crucible of bubbling, patriotic fervour. Jess Ennis-Hill had just won gold in the heptathlon and Vikki Orvice and I were furiously putting over our copy knowing Mo Farah was due to start the 10,000metres in under half an hour. Then from the other side of the stadium came a huge roar. “What the **** was that?” I yelled at Vikki alongside me. “Greg Rutherford has only gone and won the flipping long jump,” she shouted back over the din. Not long after, Farah would make it triple gold – three inside an astonishing 44 minutes. It was the greatest night in British athletics, perhaps the greatest night in Olympic history. Certainly, neither Vikki nor I had known anything like it. At the time, Vikki was in remission from the cancer that had first struck in 2007 – and which, devastatingly, would return in 2014. For the last four years she fought valiantly – and with no lack of humour – against the odds, her life a strength-sapping treadmill of chemotherapy at London’s Marsden Hospital sandwiched inbetween her jobs as athletics correspondent and football writer for The Sun. All three Olympic gold medallists later sent message of encouragement and support during her cancer battle. Fittingly, for a daughter of Sheffield, she had a core of steel. But the long, unequal struggle ended this morning when Vikki died aged 56. The grief engulfing her sportswriter husband Ian Ridley, her family and her many admiring friends is only partially mitigated by the relief it is finally all over. If she was a fundraiser, arch supporter and poster girl – her own words – for the Marsden, she was also a massive source of encouragement for every young girl who wondered whether they, too, could make it in what was the very male enclave of sports journalism. Yes, Julie Welch was the first to start breaking down the barriers on The Observer in the Seventies. And there were other sports journalists like Hazel Irvine and Kate Battersby when Vikki first arrived in Fleet Street in the Nineties. The difference with Vikki, though, was she was the first woman to be appointed as a football writer on a red top. It may have been a decade or so after the worst male excesses of the Life on Mars generation but the profession was still top-heavy with men behaving badly and contemptuous of women in the pressbox. Working at the coal face of sports journalism, she was not just a pioneer but a suffragette on the slow, back-breaking march towards equality. At the end, she would stand at the pinnacle, a vociferous defender of women’s rights and ceaseless promoter of their abilities – a director of Women in Football and a significant figure at both the Sports Journalists Association and the Football Writers Association. At the age of ten, she entered a Daily Express competition, saying she wanted to be a sportswriter. Her subject? Her beloved Sheffield United. She would finally achieve her ambition in the face of constant prejudice but it was a long journey. Recalling her early days on national newspapers, she said: “I went to Arsenal v Norwich on the opening afternoon of the season. "The main stand at Arsenal had a mural on it and I was basically sent along to write about that because, you know, it was a bit girly and stuff. “But it actually turned into a good story because Norwich won. “I remember somebody came over to the sports desk on the Monday morning saying ‘Why did you give that match to HER? I should have been there instead’. Then in the summer of 1995 came her mould-breaking move to The Sun. Her all-round talent was quickly recognised and she would soon become the paper’s athletics correspondent, a role which she relished – covering all of Usain Bolt’s world records - and in which she would prosper. She would also strike up enduring relationships with many of the sport’s leading lights – chief among them Paula Radcliffe, Ennis and Farah. She did so because these people trusted her. Many times she was given information she couldn’t write about and didn’t – her scrupulousness being rewarded later with bigger stories she COULD write about. As such, she produced a series of old-fashioned scoops during the golden age of British athletics. An era that saw the GB team go from one gold medal at Atlanta in 1996 to an astonishing 27 in Rio in 2016, second only to the USA. Nor was there anyone more excited about the new crop of outstanding home athletes like Dina Asher-Smith than Vikki. During all this, she was a sounding board for other members of her profession unfortunate enough to themselves be afflicted by cancer. She was also fundraising – one reference to a charity event with Radcliffe showing both her unquenchable spirit and humour. She tweeted: “I am walking 5k with Paula in the Race for Life. She has a personal best for the event of 14 minutes 29.11 seconds but is recovering from a broken toe and hence is not running. 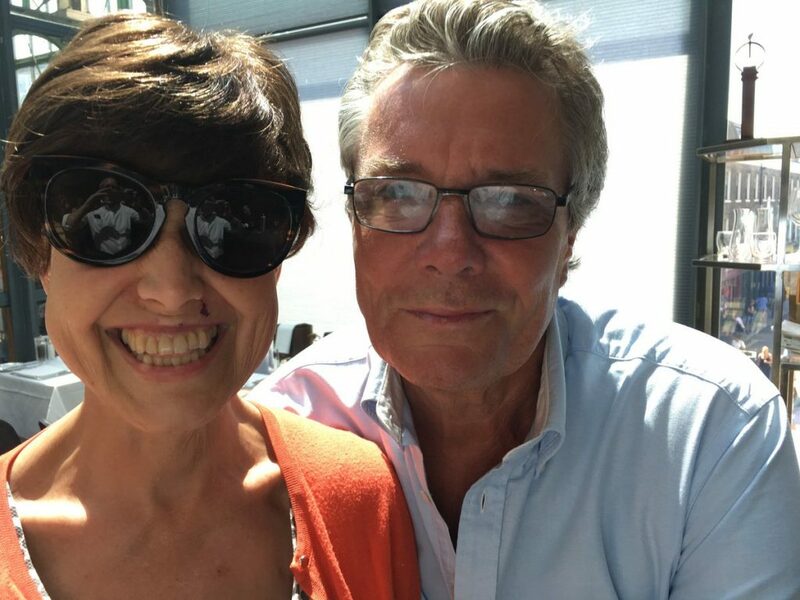 I met Vikki twice for lunch in the last few months with former Sun sports editor Paul Ridley, the man who not only brought her to Fleet Street but also gave her the athletics job. Once when, complete in black wig and showbiz sunglasses, she looked a million dollars - despite the chemo. Then again just before Christmas in Soho when she was obviously struggling a bit. Dressed in a stunning, full-length, camel overcoat and carrying an elegant black walking-stick, she climbed into a black cab that was to take her to see a concerned Sebastian Coe. What style. What class. Still thinking about other people to the end.